Once the stave wood has arrived at the cooperage, it is unpacked, visually inspected, and then piled up with a hole in the middle. 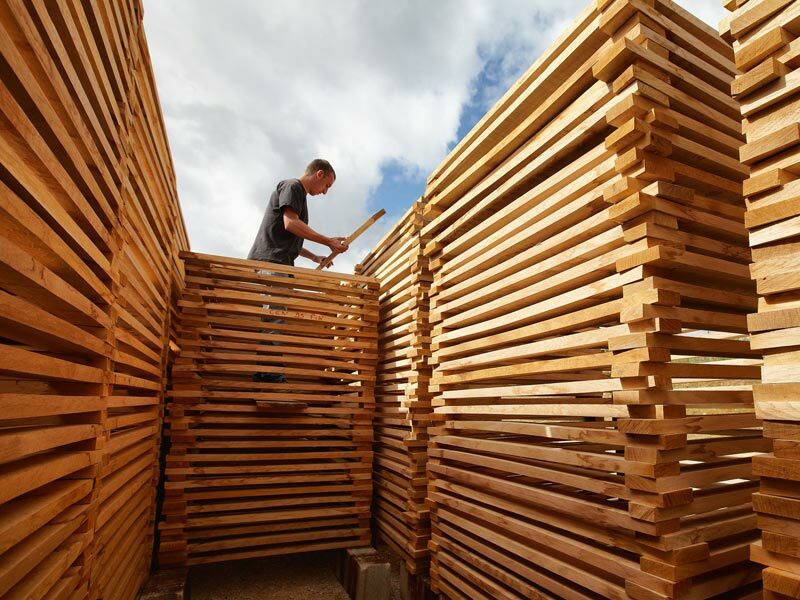 This unique technique ensures even, optimum drying in the open air for each stave. Lasting for at least 24 months, the process exposes staves to the elements in order to "wash" them of excess tannin and any bitter or harsh aromas they may contain. This outdoor seasoning ages the oak and makes it more elegant. Despite the method’s unquestionable advantages, it has become increasingly rare due to its duration and the space that must be set aside for the oak.